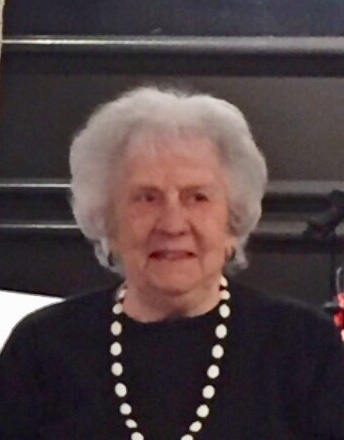 Mamie E. (Anastasi) Wenger, 97, of Natick, formerly of Newton Upper Falls, passed away on January 30, 2019. Daughter of the late Stephen and Marie (Arena) Anastasi, she was the first of 11 children to survive from child birth illnesses. Mamie was widowed at an early age of 43. She worked at the Bowen elementary School in Newton Center, as a School Crossing Guard for the Newton Police Dept which was a job she truly loved. Mamie loved the summers up in Kennebunkport Maine at The Yankee Land camp grounds with all her sisters. She enjoyed gardening and decorating, everything had to be picture perfect for her. She took great pride in helping anyone in stress. Mamie loved to cook and bake, she made the best apple pie! The beloved wife of the late Harold Wenger. Dear mother of David G. Wenger of Merrimack NH, formerly of Newton Upper Falls and Harold and his wife Nancy of Port Charlotte Fl, formerly Ashland. Sister of Rita and Carol and the late Irene and Donald. A Mass of Christian Burial will be held in Mary Immaculate of Lourdes Church 270 Elliot St NEWTON UPPER FALLS, on Friday at 10:30 am. Interment at St. Mary's Cemetery. Following interment, a reception will be held at Elevation Chapel, 151 Lowell Ave, Newtonville. Visiting hours in the Eaton Funeral Home, 1351 Highland Ave, Needham, on Thursday from 4-7 pm. Interment at St. Mary’s Cemetery in Needham.